Intergroup Meeting Minutes – November 2015 – Lincoln Nebraska A.A.
committees with the minutes (at the end). needs to be done, there are receipts on the site for reimbursements. a flyer put up at central office stating the need for volunteers. appointee rep for the Bridge, Art. PICPC – See budget report at the end of minutes. songs for the 12 steps. A new CD with workbook and corresponding songs. Dirk speaking from 730 – 830 then a dance. Central Office needs fliers for Christmas Event. Alcathon – Will be happening this year. Have a new committee and fliers will be made and put out. Speaker will be Jake F.
District 3 – Nothing really happening but still need treasurer and intergroup rep.
District 21 – Nothing really going on. representatives, 3rd Wednesday 6:45 at St. Mathews. New DCM and Intergroup officers was passed out for contact info. List of treatment committee officers that can be given to those that want it. Question of how to represent for the budgets. events planned for 2016, one being our bi-annual workshop at the Independent Center. those, along with keeping our inventory stocked. presentations. 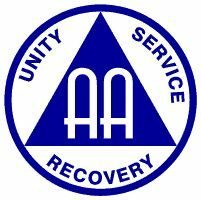 We’d like to make fliers to let AA members know about our committee also. Committee. Kemper Wilkins was elected to replace Joel Egger as the Treasurer. signatory responsibilities from Joel to Kemper effective immediately. workshop and if it isn’t approved. Intergroup, for $55.89. New balance is $206.50. No other activity. facility is Pastor Price, 402-471-3330. The A.A. contact person is Bill 0., 402-475-9341. 3039. The A.A. contact person is Bill 0., 402-475-9341.
kevin.oliver(linebraska.gov, or call Joel, 402-617-6229.
contact Bill B. at 402-326-6368. Next Meeting: Tuesday, 1 December 2015, at 6:00 p.m., Room 2A, the Meeting Place, 28” and S Street.